For many a Olathe landscaper, increasing curb appeal is the number one thing on their mind. You might be in a similar position. Sure, you enjoy the landscaping process and down a refreshing lemonade while admiring your work in the evenings, but let’s be real here. Landscaping increases property value. You’re not sweating away in the hot summer heat just for giggles. No way, Jose. You’re doing it because curb appeal equals extra value for your home. If that sounds like you, then keep on reading, y’all. In this article, we’ll detail exactly how to improve your curb appeal over the next few years. We’ll show you how to take your Olathe landscaping to the next level. But enough with all the fluff and introductions, let’s dig in and take a look at how to improve your home’s curb appeal with unique Olathe landscaping projects. It’s baffling how many homeowners don’t do a deep clean once the weather changes. At Huston Contracting, we started offering this service professionally – as many homes were in need of dire cleanup come new seasons. By properly cleaning your landscape, you’ll find curb appeal just pops. Sure, we like to keep things tidy throughout the year, but every now and then – you’ve gotta go the extra mile. That’s what spring and fall cleanup is for. One simple way to add an elegant, crisp look to your landscaping is through natural stone. And of course, a few stones here and there can add massive value to your curb appeal. As Olathe landscapers, we’ve found creating natural stone pathways to certain areas around your home is an inexpensive way to make your lawn and landscaping look so much better. Keep the basics covered. Your lawn should always look sharp. Mow that bad boy once or twice a week. Never too short. Heck, sometimes having a professional do it is a great idea.Then make sure you keep your mulch fresh. Fresh mulch adds a pop to your landscaping that faded browns will never be able to. Plus, it only takes an hour or two to add some mulch to your landscaping. Sometimes your yard is just missing something. Maybe your front landscaping just doesn’t have anything extra. Your lawn looks lovely and your home is in pristine condition. But there’s nothing that says, “Put me on a postcard” – when people drive by. There’s no automatic seller. In these types of situations, you can add an adult tree in the perfect area. In doing so, you create a focal point of your front yard landscaping and often, send curb appeal skyrocketing in one simple installation. If you’re ready to increase curb appeal, then you need to make your Olathe landscaping effort count. You need to make a memorable impression. You might need to work with a professional landscape design team. If that’s so, get in touch with our team at Huston Contracting. Investing is a tricky word these days. You’ve got the stock market. You’ve got your home. Maybe you even have some Bitcoin. These are all things people consider investments. Many consider the items listed above to be solid ones, too. But your landscaping? Most don’t consider landscaping an investment. Some do, but most don’t. For most, landscaping is about planting a few flowers and mowing the grass. If you’re reading this, you may have different thoughts. You may believe investing in your landscaping is worthwhile. Maybe you find it’s a great way to increase the value of your home. That idea couldn’t be truer. Seriously, investing in landscaping can add huge value to your home. Most people don’t realize it, but landscaping is one of the easiest ways to increase the value of your home. For example, some have suggested that proper maintenance and upkeep of your landscaping could lead to a 6-13% increase in the value of your home. You have a home that’s roughly valued around $400,000 right now. You invest a little bit of money each year on landscaping projects and upkeep. When you go to sell the home, you get a 13% increase in value due to your landscaping. Now your home is worth $452,000! That’s a pretty huge increase in value if you ask me, especially when all you had to do was add a few landscaping projects here and there. Monthly Maintenance: Just take care of your lawn. Mow it weekly. Have professionals fertilize the grass quarterly. Install an irrigation system to ensure your landscaping gets ideal amounts of water all year. That’s about it. Outdoor Environments: One of the most valuable ways to increase your home’s value through landscaping is with things like outdoor kitchens, fire pits, porches and more. The addition of these items can send your home’s value skyrocketing. Water Features: Some buyers love water features, others not so much. Ideally, you use small water features to add value. We’ve had great success adding natural creek beds to landscaping lately, as it’s a hot ticket item for new homeowners. By investing in your landscaping, you’re investing in your home. You’re investing in selling your property for a higher value. Plus, you get to enjoy stunning landscaping while you live in your home. A true win-win. If you need help doing just that, get in touch. The experts here at Huston Contracting, Inc. We love to help Olathe residents build the yard of their dreams – while building their future, too. It’s summer. The heat has rolled into town. You may or may not be thinking about Olathe landscaping projects right now. But, if you are, we wanted to give you some quick tips and tricks to ensure you make the most out of them. See, landscaping isn’t easy. In fact, it can be downright tough. For that reason and many more, it’s worthwhile to make the most out of your Olathe landscaping projects. No reason to sweat outside for hours on end and not see stunning results. Or spend a ton of money and not be thrilled. When getting the most out of a project is on your mind, you shouldn’t be thinking seasonal. It should be long-term. I’m talking yearly. Think outdoor kitchens, retaining walls, flower beds, and evergreen plants. You can get a great bang for your buck by building your landscape around long-term structures built to last years – not months. We all love flowers. They bring beauty to an Olathe landscape in a way no other plants can. But you don’t want to replant them each and every year. You want them to continue blooming year after year. If that’s you, then you’ll want to plant perennials all around your landscape. They take the same time to plant and prosper year one, but after that you’ll have flowers for years on end. Your HVAC units can hinder your landscaping and hurt your plants. Luckily, this is an easy fix that’ll ensure you get great results from any landscaping in Olathe. If you’re doing it yourself, make sure to keep any and all landscaping at least 2-3 feet away from your HVAC units. This will ensure the plants don’t bother the unit – and vice versa. A professional Olathe landscaper will do this automatically. One underutilized landscaping trick is building a berm. If you have a boring area around your landscaping that needs a little sprucing up, then add a berm. The berm will give your home that “golf course” look you’ve always dreamed of. When working with professional landscapers, we love it when you’re as specific as possible. Then we can get you an estimate and scope down to the dollar. This helps eliminate any issue moving forward. We want to work with you for years on end. This means getting the job done right and on budget – our main goals. So, the more details you give us – the easier it is to stay on budget for you. If you’re looking to get any Olathe landscaping projects done this year, please reach out. Our team at Huston Contracting is here to make your projects last a lifetime! We don’t want you wasting the summer months and early fall with a subpar landscape. We want your lawn looking lovely and your landscape lavish as the weather cools off. So, we wanted to throw together a few quick tips on how to add curb appeal to your landscape. Although, there’s more to it than that. For example, an Olathe outdoor kitchen installed in the fall wouldn’t get a bunch of use. However, if you installed that same kitchen in the spring, you’d have 5-6 months of use before the cold weather kicked in and you had to go back to cooking inside. What a drag! We may be biased, but an Olathe outdoor kitchen is a pretty great way to add curb appeal and get a ton of use out of your landscaping projects. Seriously, we’ve found homeowners use their outdoor kitchens more than just about any other landscaping project. There’s just something about cooking a wonderful meal in the great outdoors that brings families together. There’s not much better than roasting marshmallows on an open fire. So, why not add a luxurious fire pit to your Olathe landscape? Fire pits look great, add insane curb appeal, and generally, get a lot of love during those warm summer nights and cool fall ones. Seriously, most people get a lot of use when they install a professional fire pit and it looks great. Ok, so this might not be a huge project like the others on this list, but a little fertilizer can go a long way. With proper fertilizing techniques, you’re sure to find your curb appeal up as you landscape gets greener and greener. 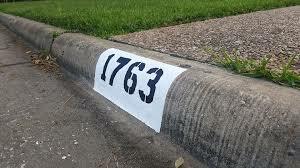 Seriously, this is the best cheap way to take your curb appeal from lame to fame within the neighborhood. Last but not least, you should always expect a drought in the hot summer months. Your Olathe landscape just isn’t meant to cope with extreme heat. So, you need to plan for it. This means planting drought-tolerant plants, prepping for the heat through fertilizing in the spring, and keeping those sprinklers on standby. 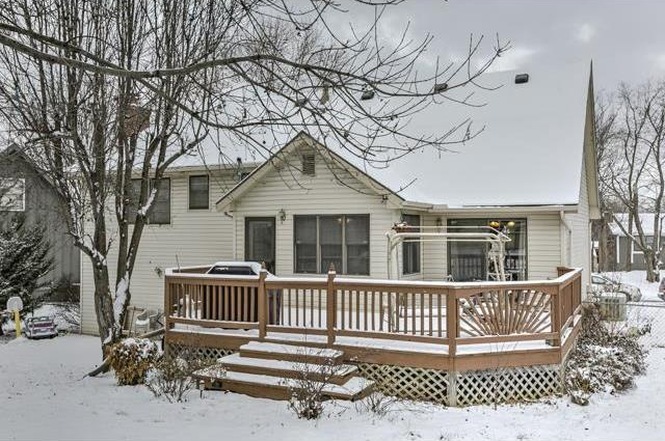 Curb Appeal and a Great Deal? If you’re looking to add a little curb appeal before the fall, we’re here to help. At Huston Contracting, our job is to make your landscape look as lavish as possible. This means helping you add curb appeal in fun and creative ways. Get in touch if that sounds interesting. Some think your lawn can’t look great unless it’s April through July and the grass is as green as it’s ever been before. At Huston Contracting, we know that’s just not true. So we wanted to show you a few low water usage Olathe landscaping ideas. Using these unique ideas, you’ll be able to improve your lawn and keep your landscape looking good. It won’t matter if the rain isn’t falling or you’re looking to cut back on the watering, you can still implement these ideas. This is the easiest way to improve your Olathe landscape without using a ton of water. You can add features like an outdoor kitchen, retaining wall, or a covered porch. These unique features won’t cost any water and will add significant value to your landscaping, especially in the backyard area. Don’t delay, though! By investing in an outdoor kitchen early in the season, you’ll be able to enjoy it even more this year. Certain plants require water every single day. If you don’t water some species of plants daily, they will look withered and weak. On the other hand, there are some plants that look great year around – whether they get a ton of water or not. If you plant species like Agave, Sage, Lavender Cotton, and more – you won’t have to water these plants often. These species simply don’t require a lot of water to look great, especially in the spring and summer. Walkways are one easy way to change the whole face of your landscaping without using much water or breaking the bank. Using natural stone to create unique walkways to your covered porch, outdoor kitchen, or a sitting area is a great Olathe landscaping idea for the coming months. Ok, this idea might be a little basic. We get that. But there’s really never a bad time to add a little mulch around your landscaping. Fresh mulch looks exactly like it sounds – fresh! You don’t need any water to add a little mulch and this small change will add a lot of life to your landscaping like never before. You don’t need to waste water all the time to keep your lawn looking ideal, especially around this time of the year. Just get in contact with Huston Contracting. As the Olathe Landscaping experts, we’re here to help you create the lawn of your dreams. We look forward to working with you! Your Olathe landscaping is so much more than some grass and a few shrubs. In fact, the greenery is only one part of an amazing landscape. There’s just so much to it once you really dive in. At Huston Contracting, we get questions all the time about how to make landscaping improvements with bad weather, what changes to make in the winter, and so much more. 4 Fun Ways to Spruce Things Up – Without the Lawn! 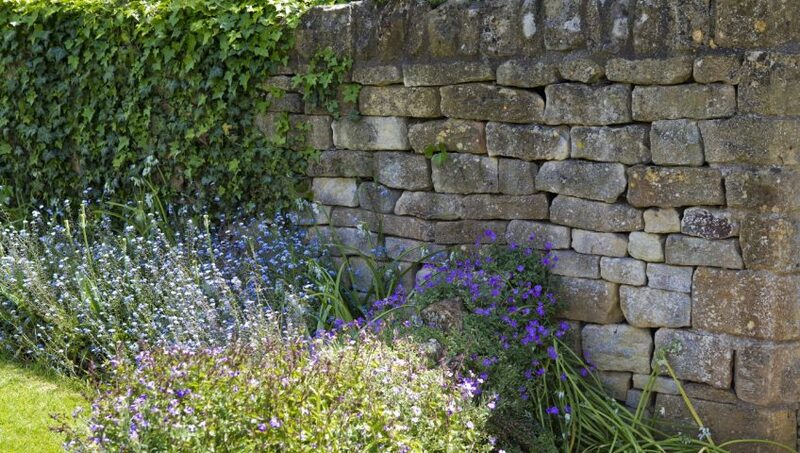 One of the best ways to make the most of your landscape? Add an outdoor kitchen to your home. Outdoor kitchens have been all the rage as of late. Why? Because they look absolutely fantastic when done properly and they’re functional. With a full-scale outdoor kitchen, you’ll be able to cook, clean, and eat meals outdoors while entertaining guests. That’s a huge value to any home and landscape. If you’re looking to make a big landscape change in 2018, an outdoor kitchen might be exactly what the doctor ordered. We may be biased here at Huston Contracting, but we’re huge fans of water features. There’s not much that can completely change the face of your landscape without working with green spaces. Water features are one of the few elements that can do that and so much more. 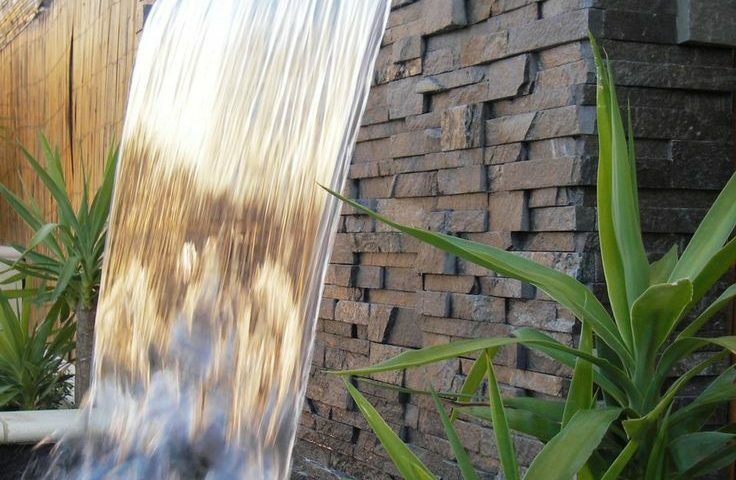 Koi ponds, pondless waterfalls, and natural creek beds are all stunning ways to alter your Olathe landscape without touching the lawn. While these aren’t quick fixes and require professional help, there’s no doubt your landscape will be upgraded once complete. One of the best ways to make your outdoor spaces a place to gather and spend time with family and friends? Add an outdoor fireplace or fire pit. There’s just something about fire that brings people together. Whether wood burning or gas, your new outdoor fireplace will change your whole landscape. While fire pits look fantastic as a standalone piece, many add outdoor fireplaces to their outdoor kitchen for added benefit. Sometimes you need to add some concrete to your landscape. It could be to create a patio or a sitting area. Maybe you want to create a walkway from your outdoor kitchen to your koi pond. It all depends on your needs. No matter how you utilize it, concrete is another great way to change your landscape without much worry about the lawn. If you’re looking to make Olathe landscaping improvements before the grass turns green, get in touch with Huston Contracting. Here at Huston, our professionals specialize in creating your dream landscape – no matter what that may be! What Type of Olathe Winter Landscaping Can Be Done This Winter? The first frost is right around the corner. The weather has took a turn. It’s getting colder. Fall is in full-swing, and winter isn’t far behind. For most people, this means hot chocolate and a little heat coming from the fireplace. But you’re not most people. You’re a landscaper. You’re glistening green lawn is always on your mind. 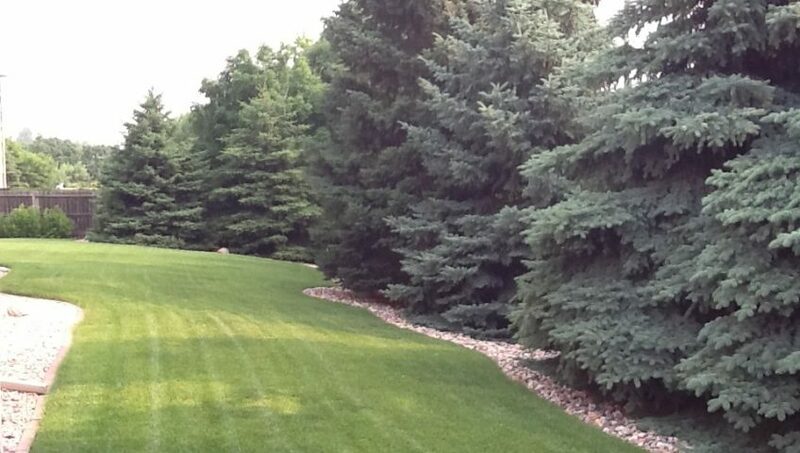 You want to have the best Olathe landscaping in the area. So you know that waiting until spring isn’t going to happen. You need some winter landscaping tips to tide you over. Luckily, we’re Olathe landscaping addicts, too. It’s what we do best here at Huston Contracting. With that in mind, we’ve detailed a few Olathe landscaping tips and tricks for those with a “green thumb” that don’t mind a little cold weather. Your fountains, ponds, and waterfalls don’t have to go lifeless in the winter months. When the rest of your landscape is lifeless, your water fixtures can provide needed movement. Just grab a de-icer, an aerator, and water heater. Your ponds and waterfalls will be able to keep running year around. The continuous moving water will be an eye-catcher in the winter months when other landscaping elements don’t draw much attention. You can plant flowers and plants that bloom around the wintertime, too. Not every plant around your landscaping needs to bloom in the spring. Add some Blue Holly, Winter Hazel, or Camellia to your landscaping. These plants will bloom in the winter months, which ensures a little color around your lawn while it’s cold outside. Certain red berries also bloom in the cold and can look stunning in the snow. What is hardscaping around your lawn? These are items like benches, chairs, garden fixtures, and outdoor kitchens. While plants often don’t grow in the winter, you can make any fixtures upgrades needed during this time. Another benefit of upgrading fixtures in the winter? You can focus on focal points without all that lush greenery in the way. Many times, this will help homeowners find the ideal focal point for their landscape when the plants come back to life. There’s a reason Christmas lights have gained popularity over the years. Because lighting allows us to add beauty and coloring to the landscape in the winter time. However, there are other ways to add lighting than Christmas lights. Think about using different lights around your lawn to highlight certain aspects of your landscaping. This can add an impressive focal point to your lawn when done properly. Finally, you can plan and prepare for the spring. There’s only so much you can do in the winter. As spring rolls around, you’ll have more landscaping opportunities. So take some time to think about your lawn and how you want it to look. Next, get in touch with our team here at Huston Contracting. We’ll listen to your landscaping idea, offer suggestions, and see if we can help you create the Olathe landscape of your dreams in the coming months! It’s time. You’ve been an Olathe landscaper for years now. You invested in the outdoor kitchen. You built that stunning pond and had a professional install an ideal retaining wall. Now, it’s time to take things to the next level. It’s time to design the Olathe landscape of your dreams. So, how do you start? Well, first you need a vision. You have to have a plan. You need to think long-term and possibly work with professionals. At Huston Contracting, we know creating the perfect landscape takes a lot of thinking, effort, and energy. That’s where we come in. As professional Olathe landscapers, we’re here to help you design the ideal landscape. First, you need to have a plan. You must think about the focal points of your landscape and how to design around them. Ideally, you find two focal points. One in the front and one in the back. For many homeowners, a stunning outdoor kitchen or water fixture is ideal in the backyard. The front landscaping can be a little more difficult. Many homeowners find working with a professional landscape designer can make things easier in the front of their landscape. A designer can help families design a unique plan that places their focal point at the forefront of their landscape. Once your focal point is built into your long-term landscaping plan, you need to make sure your basics are covered. If you’re an Olathe landscaping addict like many of our clients, this shouldn’t be too much of an issue. To begin, focus on the lawn. The greener, the better. Always with a fresh cut. Next, move to bushes and shrubbery. Keep things tidy and fresh looking. Once you have these basics covered, move on to plants and flowers. Once your focal point and basics are covered, your landscaping vision should be clear. So what’s next? The details. The details of a landscape are what can make or break things. If you pay attention to details, you could have the best landscaping in the city. Skip this step and your lawn won’t look lavish. Every landscape has different details. Maybe it’s a bench here or a flower bed there. Maybe you keep plants so meticulous that every person in the neighborhood notices. Or you could have a unique water fixture that others simply can’t compete with. No matter your Olathe landscaping dream, we can help you make it a reality. At Huston Contracting, we specialize in creating landscaping tailor-made to your exact your ideas and specifications. Just get in touch today! Your landscaping vision is waiting on one phone call.